Added some recent album packaging designs, one from this past summer and one from last year (belatedly). 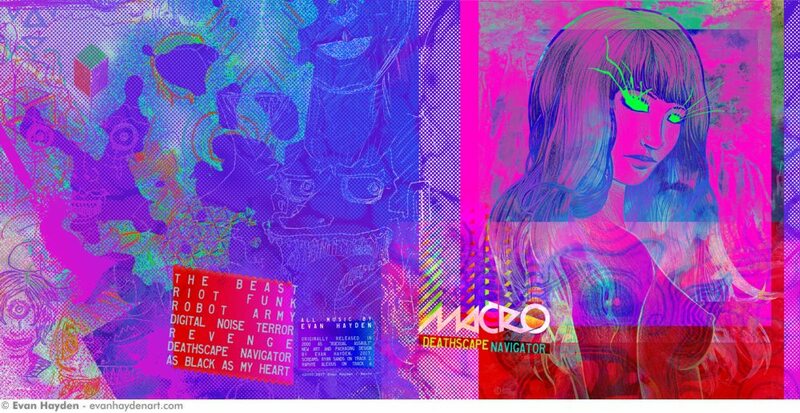 Above, you’ll see the cover and back cover of my album “Deathscape Navigator”. Click above, or here, to see the rest of the packaging art! Below, you’ll see the cover and back cover for the mix CD set I made for Ryan last summer. Click below, or here, to see the rest of that compilation’s art!